This version has pretty significant changes, like completely re-done stereo rendering implementation, corrected Oculus timing and new vignette reduction feature. It should now work very smoothly and latency free with vsync on, which is also default now. Windshield hider is a new feature as well, it allows hiding parts of the car windshield which is just a mapped flat texture on the cars and does not appear right with stereo rendering. Also on many mod cars the windshield is too dark. The feature can be toggled with numpad asterisk key. Clip plane tweaks should fix issues on some tracks where distant terrain got clipped away and improve in-car clipping. In-car views in replays now appear in “VR mode”. The 3D monitor effect from old versions is unavailable unfortunately, its no longer practical due to the different stereo rendering implementation. Download from here. See the readme for install instructions as usual and some troubleshooting hints. Amazing work man, you are really skilled! Great work, just another quick request to see if horizon locking might be possible. Can someone please explain what RBR.dll does? Ace! 1.2 is super smooth and the roof clipping when the seat is setup high is gone. Thanks for all the work you’ve put into this. It’s an old hint from a decade ago, but if you want well tuned weather effects, go for Kai Fiebach’s WeatherLook and Windshield Rain by BWX. WeatherLook also fixes overly white interiors in Finland stages. These mods can be found in this rbr-mod.exe bundle under graphics tab. Must be run in RBR root directory. This is a dream come true (i dont dream big). Paljon kiitoksia, i wish you have a nice life. Awesome mod, makes RBR like new again. Thank you so much for amazing rift support. However, i can’t get codriver mode to work, i get a message that the rift is set as primary, even when it is not. Does the resolution and refresh rate on primary display have to be the same as the rift? My Acer h5360 projector is set as primary display, but i can not get both resolution and refresh rate to match the rift at the same time. Both codriver modes work for me. I have primary display at resolution 2560×1600 with 59 Hz, so that should not matter. 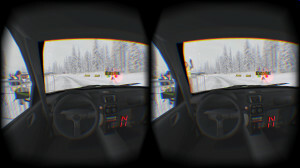 Codriver mode judders quite a lot though in Oculus Rift view for me, so it is not very useful currently. That could be caused by lower refresh rate compared to rift, though. Cant run this with DK1. Did fresh RBR install and sse works fine but soon as i paste those d3d9.dll and rbrift note i got something executable error? I just got my donation returned back to me. Paypal details: Donation to kegetys@dnainternet.net: The recipient of this payment is Unregistered. message: rift not found appears at start of RBR. what to do? thanks. thee rift is displayed as display nr. 1 of 3 in the ati-ccc, and works on the desktop..
its connected to graphics card nr1 at hdmi port. I use win7. need more infos? resolution is acceptable, your work extra fine! Thanks alot!! Wow! I tried to switch to the pacenoteplugin by workerbee ingame, it’s active but still a problem for me to get the windows displayed. will try on. Happy new year man! Maybe you try to fix this issue? The pacenoteplugin (PP) really should work in RBR for best experience/enjoyment of the sim. Would be sad if you would’ve to choose between the PP and your .dll. Condor uses Direct3D 7 so its not realistically possible unfortunately, and Oculus SDK is dropping even D3D 9 support so even the RBR mod might stop working at some point. First off, a big thanks to Kegetys for this awesome mod to allow us to use DK2 with RBR. I know this is not really the right place to post this question but do you guys know of a SweetFX plugin to help with the sharpness of RBR while using the DK2? I have tried SweetFX in iRacing and AC and it really makes a huge difference in being able to pick out details. Thanks in advance if anyone can answer my question. I go whit supersampling throw nvidia settings and geting the 4K resulution downsampled to 1080P and its look and runs silkes smooth ! Just google how to do and your gonna be happy whit the results. Constant 75hz/sec 4K !! But i too would like to have sweetfx to correct the colors. Greate thanks for this plugin, it’s stunning I have droped AC / RF2 & Iracing this is just THAT GOOD ! But whit ENB enabled I getting a black feild from digiinfo, and its just infront of the view, is it possible to simply turn of the hole digi square/window throw the misc dll’s ? I tryed to turn it of in menus and also to zero x zero in dll but it was still there ?!! Would be soo happy If you could help me out whit this as it would compleat my hole experience to correct the colors as I would like to have them. Can You make this modification for google cardbord like solutions? I use this program http://trinusvr.com/ for VR. It works well with RBR but has no headtracking. Program supports many protocols for headtracking. Can You add support for this? I have a AMD 290 GPU. I have setup windows to use the Rift as only display (otherwise everything judders, so: in screen resolution: show desktop only on 1). Can someone help me with this? Thanks. You are probably using the “dash” camera view (that is replaced with the codriver camera by the mod), just press the “change camera” button to cycle between the different cameras. Are there any plans to update this for the newer Oculus runtimes? RBR crashes whenever I launch the game since upgrading to 0.6.0.0 (still using extended mode). The newer runtimes no longer support Direct3D 9 that RBR uses so getting it to work with those is quite difficult unfortunately. I might take a look at some point but I don’t have much time for it in the near future. hi when or where can I get a version of this to work the new 0.7 oculus runtime and windows 10 to play rbr in my oculus as it now only has direct mode ? Thanks Thanks and Thanks!!! 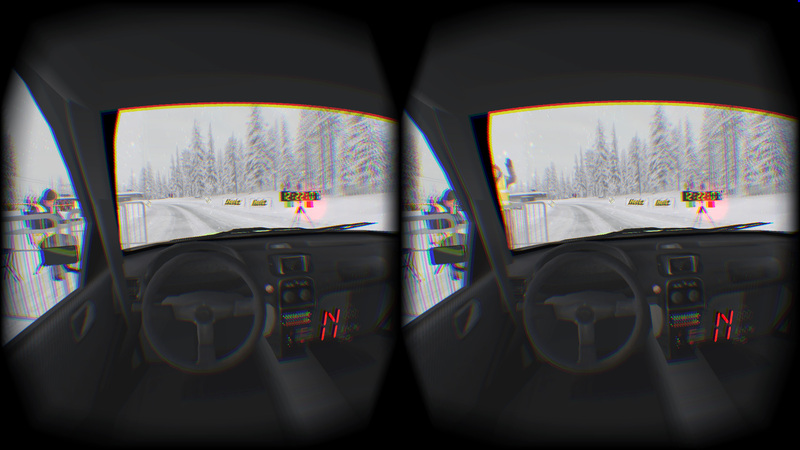 It’s the best oculus mod for simulation cars. I am enjoying a lot with the DK2. I hope it will be available with next CV1. Thanks for the mod!! Works great with older Oculus 0.5 runtime. I still hope this will be available with cv1 too. Does it work when I install RBR 2012 MOD or 2015 MOD?? Thank you for your amazing mod ! Do you know if it works with 0.8 runtime ? RBR doesn’t find my Rift and it is not possible anymore to enable the “extended mode” in oculus settings. No, it does not work with the newer runtimes as Oculus dropped support for the older ones and the new runtimes do not support D3D9 anymore. Ok, thank you for your answer. Amazing work! Thank you so much! For the people trying to run it with the newer runtimes. (which won’t work)- you need to switch to 0.5 runtime. google “RTU package to switch between oculus 0.7 and 0.5 runtime on W7/W8/W10 (just unzip and play)”. strugling with Windows10 -problem. How to run amazing RBRally on W10? I could not play RBR since my old XP PC passed away. Missing the best rallygame. I have the original installation DVD. W10 installes it, but dont run (nothing happens). Hi there every one. Ive been playing rbr since the begining and when i saw the mod for the oculus i knew i just had to get one. My heart has been broken by complete lack of technical knowledge and my total in ability to get this mod to work. I this the issue is with the rsrbr mode as i know you recomend a “vanilla” install. I have however seen people run this mod with rsrbr. The closest i have got to getting it working is launching the game and my main moniter goes blank and the dk2 shows my desk top. I can hear the audio from the game so it is running just not how it should. Please say this a simple fix amd im just being a total tool. Rbr patch 1.01 and 1.02 installed. Ps i have run the oculus with other mods to verify it works. Please please please any help massivly apreciated. wow, so great to see this exists, can’t wait to play this in VR… Any chance you will work on Vive integration too? I’m confirming that Rift mod still works with DK2 with Windows 10 and runtime 1.3 installed, as long as you can get the runtime 0.6.0.1 running in extended display mode in Windows. This is trickier than expected, even with runtime switchers floating around in internet. It is best to uninstall all oculus software and install runtime 0.6.0.1, and make sure that you can get it working out of the box. Only then continue. Later you are going to need ‘directdisplayconfig.exe’ from runtime 0.7.0.1 or 0.8.0.0, because “directdisplayconfig.exe off” enables extended mode after runtime 1.3 has already been started once. ty i make a litlle donation for your great work..
Its possible make it work with Rsrbr 2016? Do you think that RBR will be compatible with new Oculus CV1? I would make a donation for sure if you have to make a plugin. Is it possible to try to support HTC Vive instead? If you don’t have time can you at least explain to me how you mod the files to support VR? I’m a programmer but I have never done something similar and I would like to learn how you managed to support Oculus Rift. I just got myself a Vive as a local retailer had them in stock. I’ll definately have a look if supporting SteamVR would be possible. Cant promise when but hopefully soon-ish. That’s great news, let me know if there is anything I can do to help you and if you need some testing. Please kegetys do this for us ! Only you can do . (do it for a price, i dont know if you can or how)But I will make a generous donation for this. Please we are in your hands . if you make it compatible with the 1.3 it will be a great service for all! Guys, do not be stingy if it will happen and pull the money out !!!! I would pay for that plugin (1.3 in CV1). congratulations for RBRift. Thats the only reason I own an Oculus dk2. It would be perfect if you find the time to make it working in CV1.